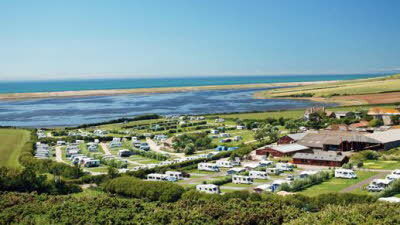 East Fleet Farm Touring Park is located on the coast of the stunning Chesil Beach on the shores of the picturesque Fleet Lagoon. East Fleet Farm earned 5 Gold Pennants in the AA’s new award for touring parks and campsites and has held a David Bellamy Award for conservation for over 10 years. This modern, spacious site is very much a ‘destination site’ with a unique location. 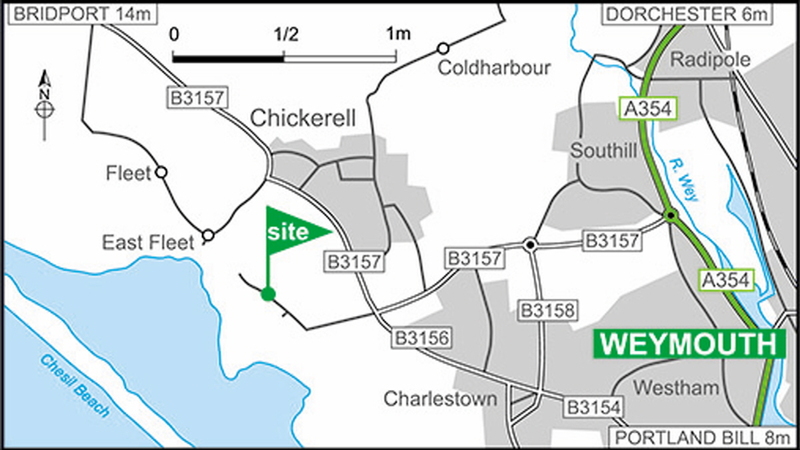 The 22 acre site sits on 200 acres of working farmland and is just ten minutes drive from the scenic Weymouth, where you can visit Lulworth Cove and Corfe Castle. 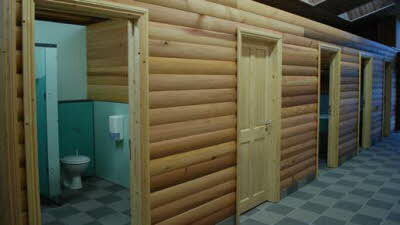 There are fantastic facilities including a number of shower suites with sink and WCs. Bar and festival food is on offer during peak season and there is a large camping and caravan shop on site for anything you might need during your stay. They stock a wide variety of accessories and spares as well as basic groceries and newspapers. There is a private Road/bridle way from park that joins to Weymouth cycle route (all paved off the road and very safe) within one mile from the site. 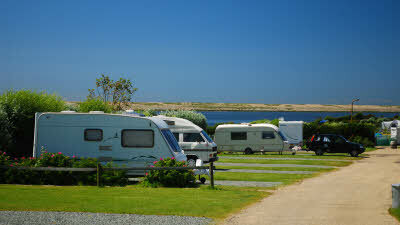 Park on the shores of Fleet Lagoon, and the South West Coast Path runs along the bottom of the park. There are also many inland footpaths. There are three supermarkets - Asda, Sainsbury’s and Morrisons within two miles. East Fleet Farm is just off the B3157, approx. 3 miles off Weymouth town centre. From Dorchester, take the new Weymouth relief road and turn right at both roundabouts until you reach Manor roundabout. Cross over and go straight on. Follow the signs to Chickerell and B3157. At the traffic light junction with B3157 go straight ahead down Fleet Lane. 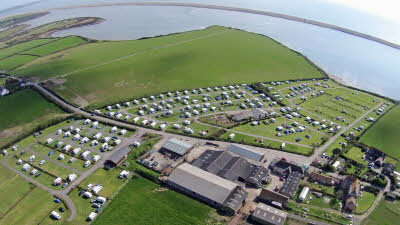 Great place to base yourself to explore the Jurassic coast. The site is maintained to a high standard. The toilets are cleaned by an army of cleaners all day and into the evening, lovely team. The staff were all very helpful and give lots of advice. There is a bar and Festival food van, takeaways to order. They even let you take your food in while you are having a pint of two. The South West Coast path is well worth your time. 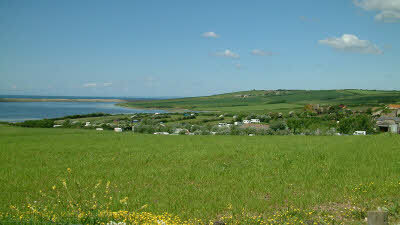 Great views over the Chesil Beach. Cycle path from the lane to Weymouth. Came here last year for the first time and loved it so back again. Young reception staff seem to have it sorted, we had asked for specific pitches as we were two units they didn't manage to give us the ones we requested but did keep us together which was just what we wanted. Pitches are well marked and you are shown on a paper map how to park and which area of grass is yours, so simple and works! 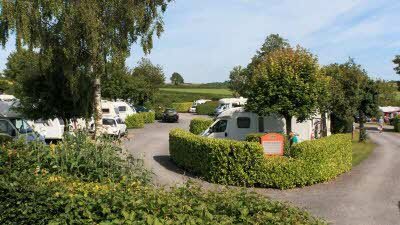 Unfortunately near where we were pitched we noticed one unit take advantage spreading well over their pitch (caravan, full awning and fenced off garden area) intruding on either side, then a second family and car arrived later complete with dogs to share their caravan! Not sure if the site staff were aware but it would have been so much better had two pitches been allocated so those either side didn't loose out! 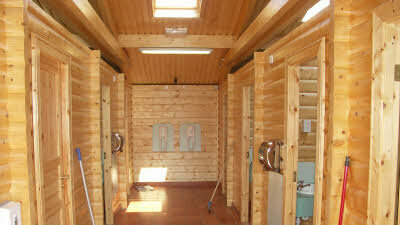 Very clean toilet block with the loos separate from the showers. Large shop selling everything from food to umbrellas, etc. Also hot food available on various days from just outside the shop, also a bar on site! Stayed for a short time on this large affiliated site at the beginning of July when weather was hot & dry. 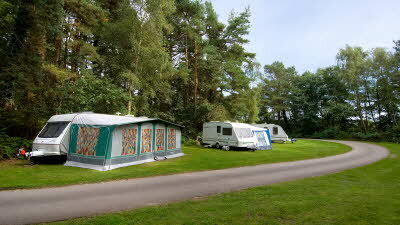 It was well cared for with 3 clean facility blocks – 1 old 2 newer with individual shower rooms. Helpful friendly young reception staff in the reception/shop which had a reasonable selection of basic food essentials and a lot of camping bits & children’s toys. 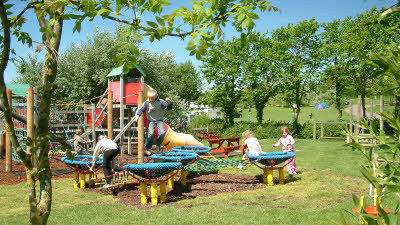 There is a play area, bar & 3 take away catering trailers – 1 for breakfast, 1 Pizza & 1 Fish & Chips on different evenings. 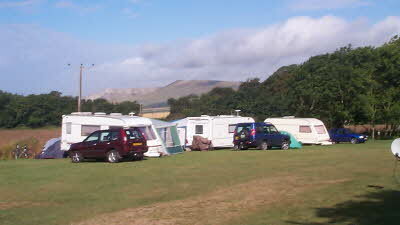 A busy popular site especially at week ends with families. 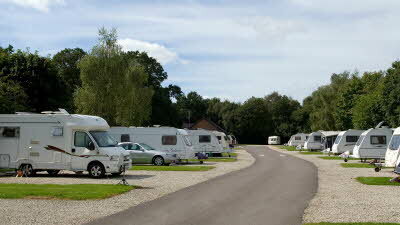 Lots of tent campers as well as caravans & some motorhomes. 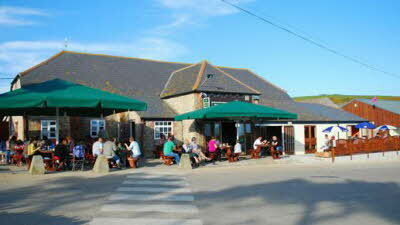 Need to drive or catch bus at top of lane to Weymouth for beach. Many pitches need levellers. There are public footpaths direct from site onto coast path & small church of “Moonfleet” book fame but found nothing else of interest within easy walking distance.